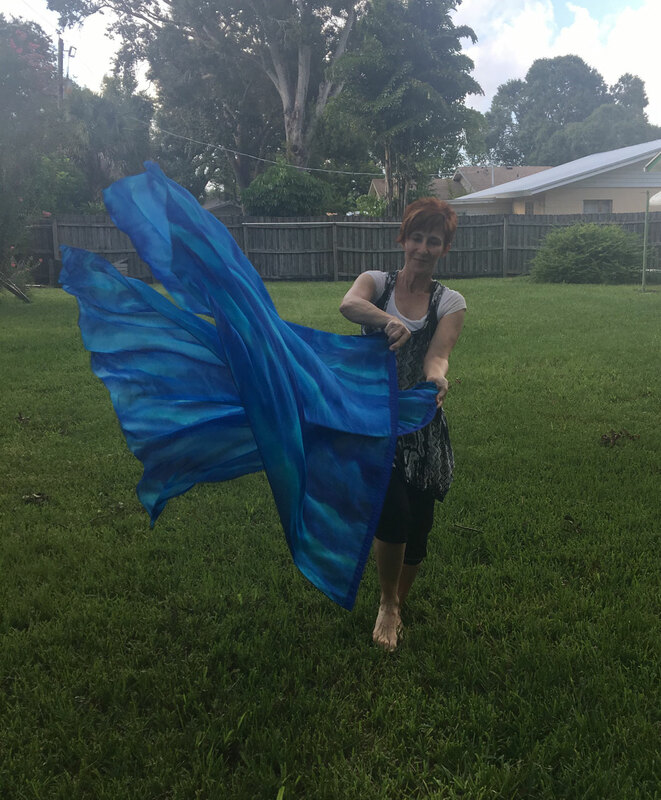 Breaker Flex Flag - 3 Strand Cord Silks - Glowing Silk Flags & Billows based on the Bible, Jesus and His Church, to enhance your worship of God! 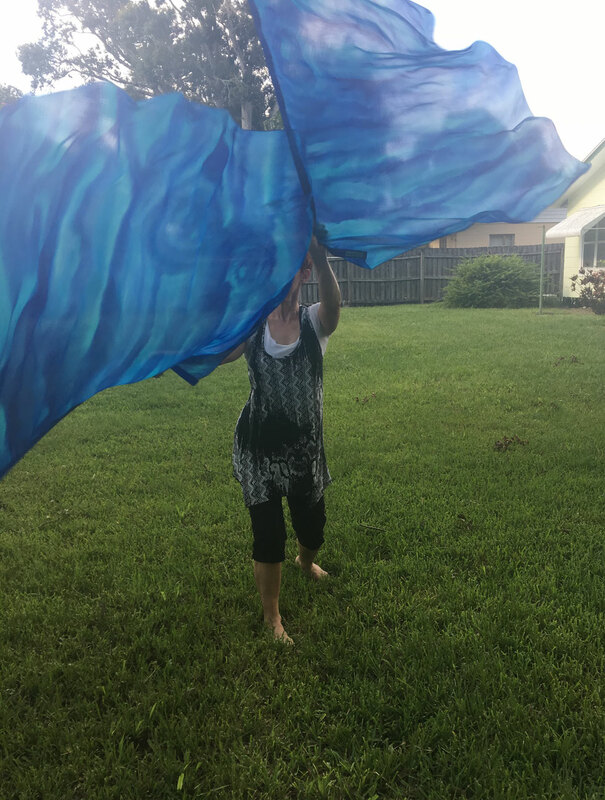 Breaker Flags represent the living water of God flowing out of our bellies as we release the Spirit of God on the earth! These flags come in four sizes: Extra large, Large, Medium and Small. 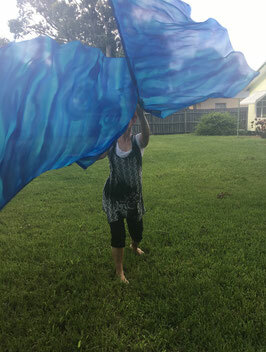 Breaker Flex Flag - Lord, bring waves of Your Spirit upon us and flow through us to affect this world! 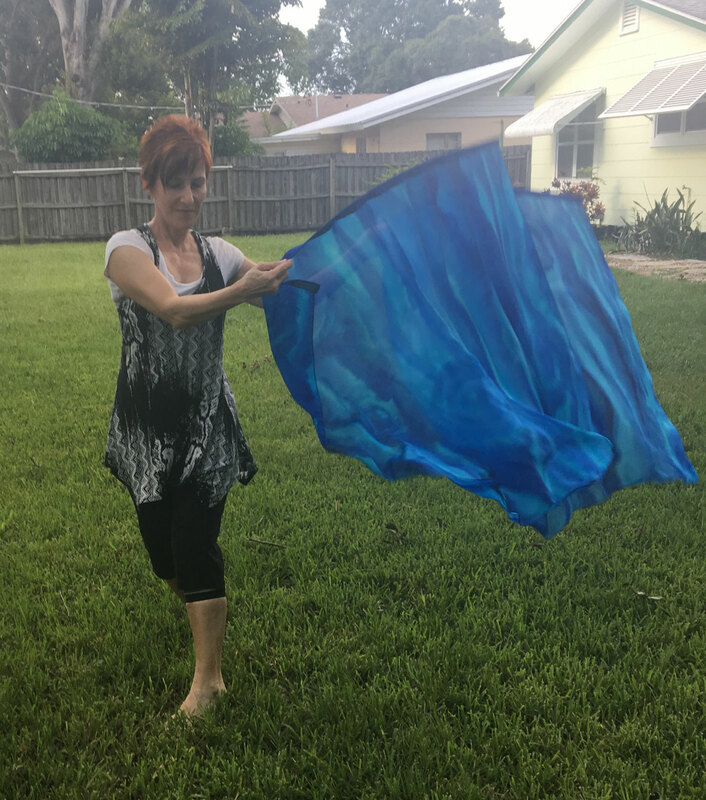 Extra Large Breaker Flex Flag (4.5 x 6+ ft) with flexible rod - Flag has 9 feet fabric, in two layers of beautifully hand dyed silk. Edges are shaped into flame shapes. 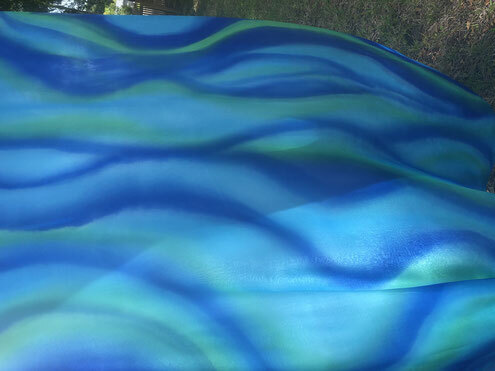 Looks like flowing water and breaking waves when flown. 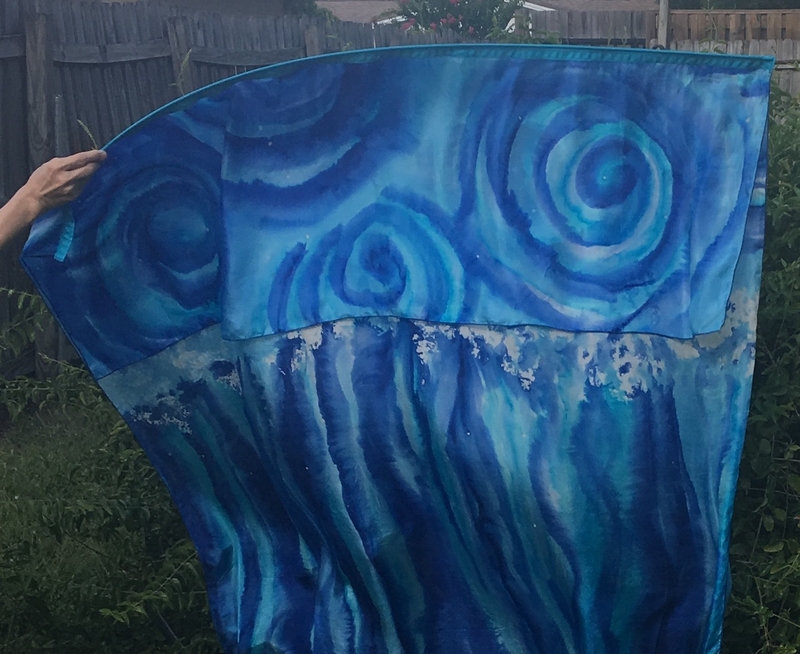 Front and back of flag show different views. Price is $150 for one flag. There is a $30 discount if you want to take two of these flags - please contact me and I will arrange your discount. I would recommend that only experienced flaggers use two of these large flags at one time. "Deep calls to deep at the sound of Thy waterfalls; all Thy waves and Thy breakers have rolled over me" Psalm 42: 7. 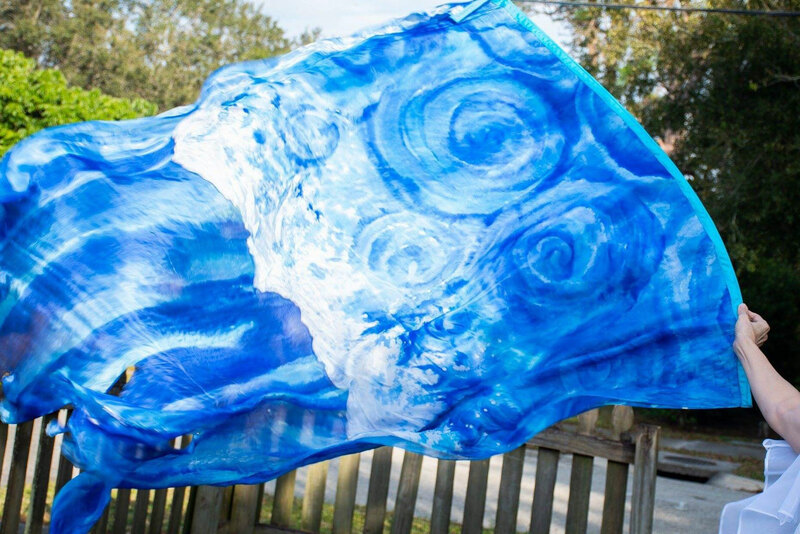 Express the Living Water of God with these Breaker Flex Flags in size Large (45 x 7') Sold as a set for $170. If you would like a single flag, please contact me. 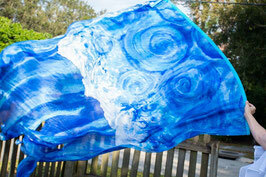 Breaker Flex Flags set of two - Medium (45" x 5') Single layer of silk, with "flamed" ends. Sold as a set for $150.